The research of the faculty of the Attallah College of Educational Studies has been recognized both nationally and internationally for tackling the most pressing educational and social issues that confront communities, families, schools, and children. This selected list of publications and ongoing projects shows the breadth and depth of faculty research topics. Dr. Zavala’s book presents an investigation of decolonization in the context of education and what this means for Ethnic Studies projects. It accomplishes this exploration by looking at the history of Raza communities, defined broadly as the Indigenous and mestizo working class peoples from Latin America, with a focus on the complex yet unifying Chicanx-Mexican experience in the U.S. Southwest. His book sets to bridge the fields of history, pedagogy, and decolonization, through a creative, interweaving methodology that includes critical historiography, dialogue, autoethnography, and qualitative inquiry. Collectively, the set of chapters in the book open new ground, challenging scholars and educators to rethink critical education rooted in traditional and Western frameworks. 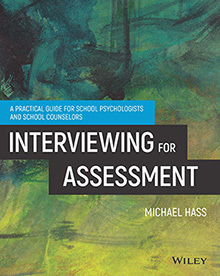 Practical and easy to read, this book by Attallah College's Dr. Michael Hass is an indispensable guide for school psychologists and school counselors on assessment interviewing. It provides step-by-step guidelines for structuring interviews for different purposes, communicating respect and understanding, and strategies for gathering information from children of different ages, cultures, and social standings. Interviewing for Assessment is an ideal resource for school-based practitioners and graduate courses in assessment, counseling, and seminars attached to fieldwork. 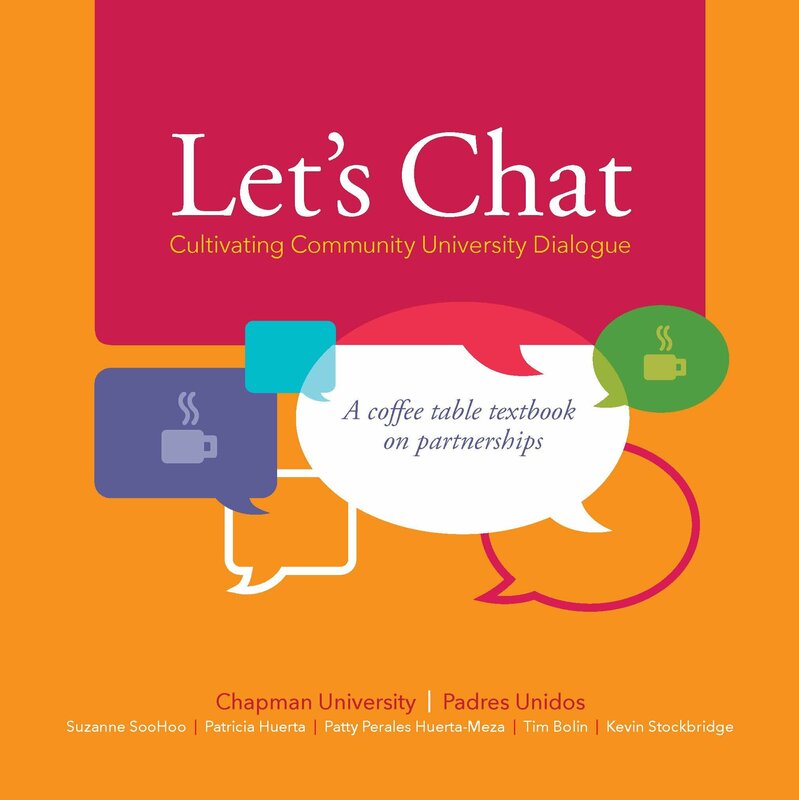 From the home of the Paulo Freire Democratic Project and the nonprofit community organization Padres Unidos, the Chapman University Padres Unidos Partnership presents this truly unique coffee table textbook, Let’s Chat. The volume presents a collection of community stories, concepts, and analyses that highlight the journey of border crossings between two co-existing neighbors: a nonprofit community organization and a university. Written with and by the community, this book is accessible, aesthetic and attractive to both community and university audiences. In this lively, accessible volume, the editors have brought together an impressive group of senior and early-career educational scholars to study the lives and contributions of a wide range of outstanding historical and contemporary leaders from the United States and across the globe. 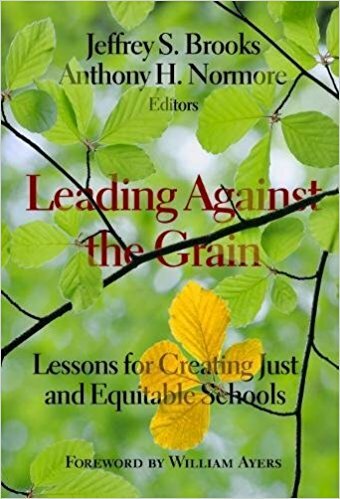 Leading Against the Grain is a rich collection of brief biographical commentaries profiles leaders like Wangari Mathaai, John Tippeconic III, Fannie Lou Hamer, Saul Alinsky, Antonia Pantoja, Jimmy Carter, Golda Meir, Sun Yat Sen, José Rizal, and Jesus Christ. The book includes contributions by Attallah College's Dean Margaret Grogan, Dr. Whitney McIntyre Miller, and Dr. Peter McLaren. Social-emotional learning refers to the beliefs, attitudes, personality traits, and behaviors that students need to succeed in school and life. This study looks closely at 10 “outlier schools” in California’s CORE districts with students that report strong social-emotional learning outcomes compared to other, similar middle schools. The brief and infographic—based on a longer technical report—describe the surprising breadth and variety of social-emotional learning practices found in these outlier schools, as well as commonalities in their approaches and implementation challenges that some are facing. 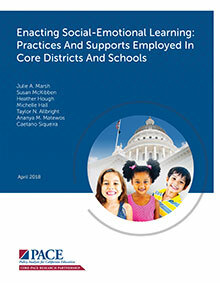 The findings offer ideas and lessons learned that may benefit other schools and districts seeking to implement social-emotional learning at scale. Attallah College's Dr. Michelle Hall co-authored this report for Policy Analysis for California Education. California’s Local Control Funding Formula (LCFF) was signed into law in 2013, and represents the most significant change in California education finance and governance in 40 years. The LCFF Research Collaborative has been following the implementation of LCFF since the first year of LCAP planning. 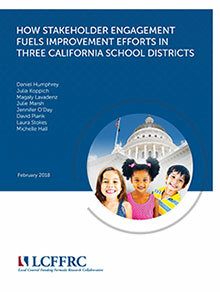 After studying LCFF implementation for 4 years, the LCFF Research Collaborative identified and documented the work of school districts that have been particularly innovative in their implementation efforts. Attallah College's Dr. Michelle Hall co-authored this report for Policy Analysis for California Education. 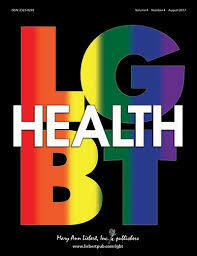 The LGBTQ Youth Research and Advocacy Project is a collaboration of Attallah College faculty, the American Civilian Liberties Union (ACLU) of Southern California, and the Central Coast Coalition. The goal of the LGBTQ Youth Research and Advocacy Group is to generate awareness of the experiences of LGBTQ students in California public schools and to advocate for LGBTQ-inclusive educational policies. In order to achieve this goal, stakeholders, which include researchers, community leaders, and legal advocates, analyze and disseminate public data on LGBTQ youth to schools, districts, county offices of education, and community-based organizations throughout California. This book provides a useful and compelling framework for re-envisioning the possibility of education for all students. However, the philosophies of Disability Studies (DS) can be seen as contradictory to many mainstream values and practices in K-12 education. In an ever-shifting educational landscape, where students with disabilities continue to face marginalization and oppression, teachers and teacher educators are seeking ways to address these educational inequities. They desire realistic and specific ways to work toward social justice, from within the confines of current education systems. The book received a favorable review in Teachers College Record. 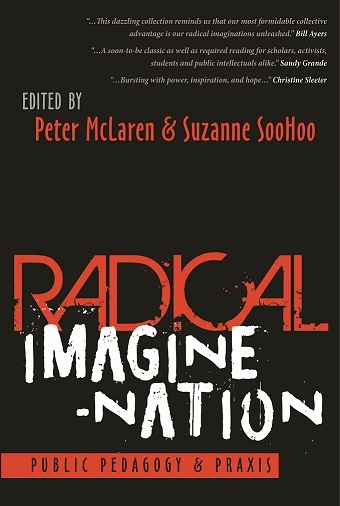 Radical Imagine-Nation provides a platform for critical educators, public intellectuals and activists from all over the world to promote, share, and discuss various new issues and developments in critical education and social movements. The book engages dialogically with critical scholarship and activist work in accessible ways that serve the common good. It serves as a meeting place for progressive educators, from scholars and practitioners to community activists and other cultural workers. It constitutes a space where critical theorists, community activists, internationalists, and Freirean educators present new ideas for creating social relations. 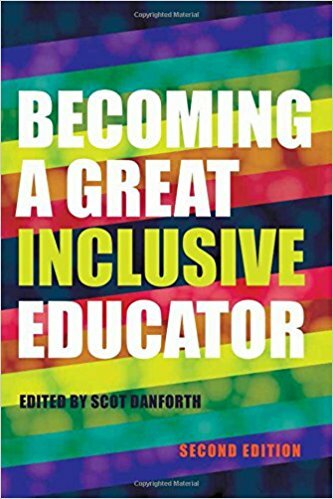 This second edition offers educators the guidance and resources to become great inclusive educators by engaging in a powerful process of personal and professional transformation. Inclusive education continues to grow in popularity and acceptance in the United States. But most teachers, both general and special educators, are poorly prepared to be successful in inclusive classrooms and schools. Undoubtedly, the challenge to professionals involves the acquisition of new knowledge and skills. But inclusion requires far more. 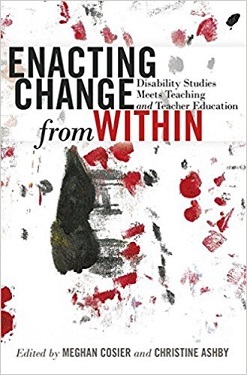 It calls upon educators to trouble everything they think they know about disability, to question their deepest ethical commitments, to take up the work of the Disability Rights Movement in public schools, and to leap headlong into the deepest waters of the rich craft tradition of inclusive teaching. 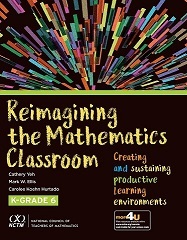 Reimagining the Mathematics Classroom presents a comprehensive systems approach to examining mathematics teaching. It synthesizes and illustrates current research on the essential elements of mathematics teaching and learning, unpacking each component—the classroom physical space; mathematical discourse, tasks, assessments; and families and communities—and providing concrete practical strategies and tools teachers can apply directly to their work.